An article on my intellectual hero Dr José Rizal is out now in History and Philosophy of the Language Sciences. A shorter version of it has been published in Rappler. 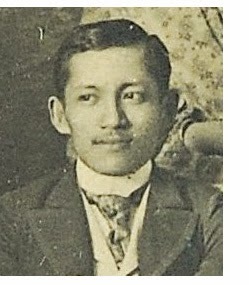 It is something of a cliché to assert that Dr José Rizal’s thought is as relevant as ever to the Philippine nation, but it can hardly be denied. His brilliant essay ‘On the indolence of the Filipino’, can be read as a devastatingly witty rebuke to every foreign tourist who complains about poor service or a lack of initiative amongst locals, unaware of the long shadow of colonialism they are projecting. But it was his unflinching critique of the friar orders and their oppressive governance of the Philippines that continues to resonate with such force, despite the freedoms won by the Rizal-inspired independence movement.